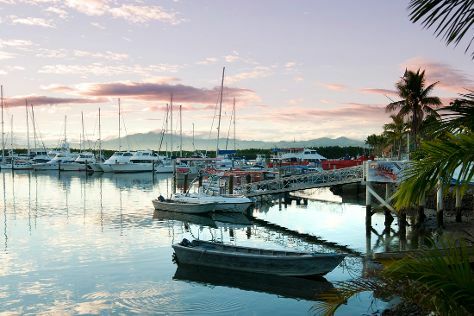 On the 19th (Wed), take in the waterfront activity at Port Denarau Marina, then soothe aching muscles at some of the top local wellness centers, and then take a memorable tour with Tours. For more things to do, ratings, and other tourist information, use the Denarau Island online journey planner . Denver, USA to Denarau Island is an approximately 21.5-hour flight. You'll lose 19 hours traveling from Denver to Denarau Island due to the time zone difference. Traveling from Denver in December, expect Denarau Island to be much warmer, temps between 87°F and 74°F. Finish up your sightseeing early on the 20th (Thu) so you can catch the flight to Taveuni Island. Kick off your visit on the 20th (Thu): take a memorable tour with Tours. Here are some ideas for day two: look for all kinds of wild species at Lavena Coastal Walk, then take in the dramatic scenery at Tavoro Waterfalls, and then admire the sheer force of Waitavala Natural Rock Waterslide. 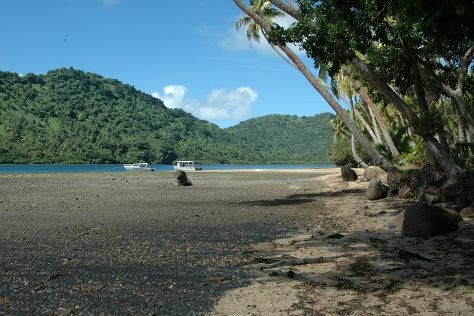 To find other places to visit, reviews, traveler tips, and other tourist information, use the Taveuni Island visit planner . Fly from Denarau Island to Taveuni Island in 2 hours. Alternatively, you can do a combination of bus and ferry. Wrap up your sightseeing on the 22nd (Sat) to allow time to travel to Pacific Harbour. 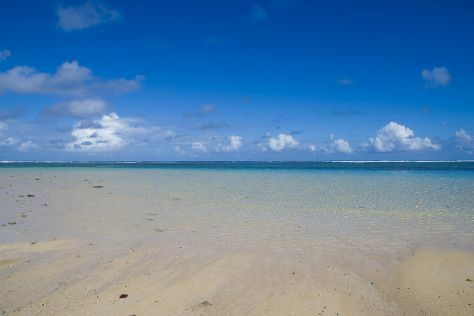 On the 22nd (Sat), tour the pleasant surroundings at Paradise Beach. For maps, more things to do, and tourist information, read our Pacific Harbour trip planner . You can do a combination of flight and bus from Taveuni Island to Pacific Harbour in 4.5 hours. Another option is to do a combination of ferry and bus. Expect a daytime high around 85°F in December, and nighttime lows around 74°F. Wrap up your sightseeing on the 23rd (Sun) early enough to drive to Sigatoka. Start off your visit on the 23rd (Sun): enjoy the sand and surf at Natadola Beach and then tee off at Natadola Bay Championship Golf Course. Keep things going the next day: identify plant and animal life at Kula Wild Adventure Park and then get interesting insight from Tours. To see other places to visit, ratings, traveler tips, and more tourist information, read Sigatoka day trip site . Drive from Pacific Harbour to Sigatoka in 1.5 hours. Alternatively, you can take a bus. Expect a daytime high around 87°F in December, and nighttime lows around 74°F. Finish your sightseeing early on the 24th (Mon) to allow enough time to travel back home.